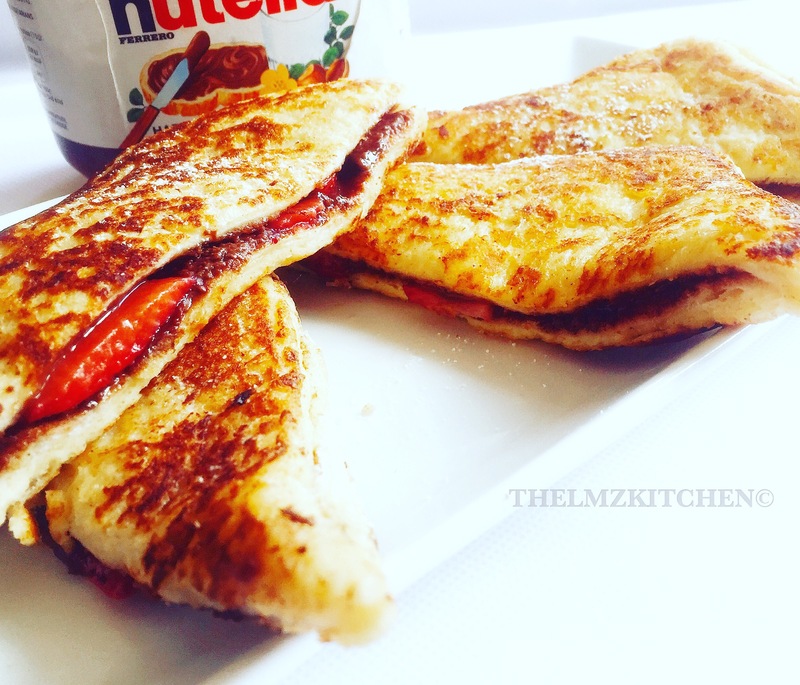 Cinnamon French toast with Nutella spread. This is so easy and tasty , I feel everyone who is obsessed with Nutella should definetly try this for breakfast. Lighty whisk your eggs, cinnamon and milk together . Line up some chopped strawberries in between and close together . Dip your bread In your egg/milk mixture coating both sides. And brown each side in your pan , continue till you are done with all . Next Post Coconut moin moin using Beans flour.